Summer is back with a few hottest months of the year. It is a month that immediately draws our attention towards haircare because the sun in this season imparts adverse effects on hair by damaging them leading to hair loss and dandruff. However, the app “A Complete Guide to Summer Hair Care” has been specially designed for all you lovely people to take care of your beautiful hairs this season with the safe and natural home remedies. By having this app in your smartphones, you ensure to maintain shinier, long and lustrous hairs not only in the summer season but throughout the year. We understand, not everyone is lucky to have healthier, shinier and long beautiful hairs but you don't have to worry for this because you're not alone. 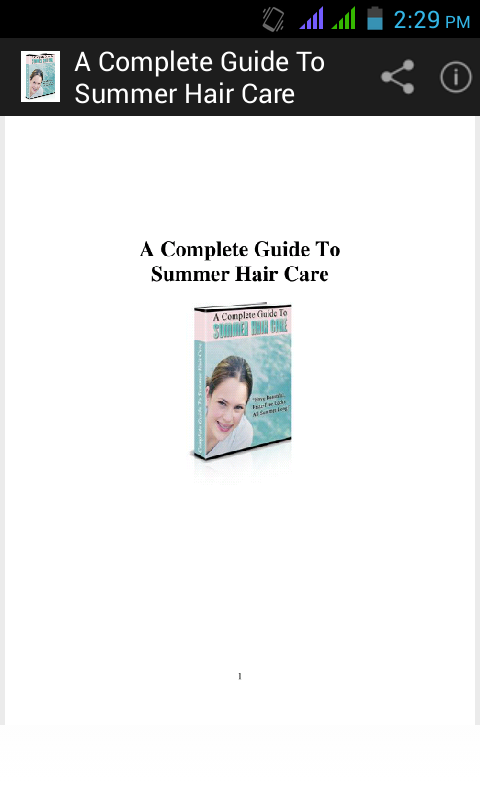 This easy and quick guide to summer hair care has everything from dandruff home remedies, permanent hair loss solutions to healthy hair diet plan and home remedies for hair fall. Is brushing your hair too often dangerous? Ever wondered how often should you oil your hairs? Which hair products should be used during the summer season to maintain the ph balance of your scalp? You can now get the answers to all your questions in this app all the way by the hair experts from across the world. So, why waiting more. Give it a try. Get this app for free on your smartphones and follow the tips religiously to see positive results within a weeks. 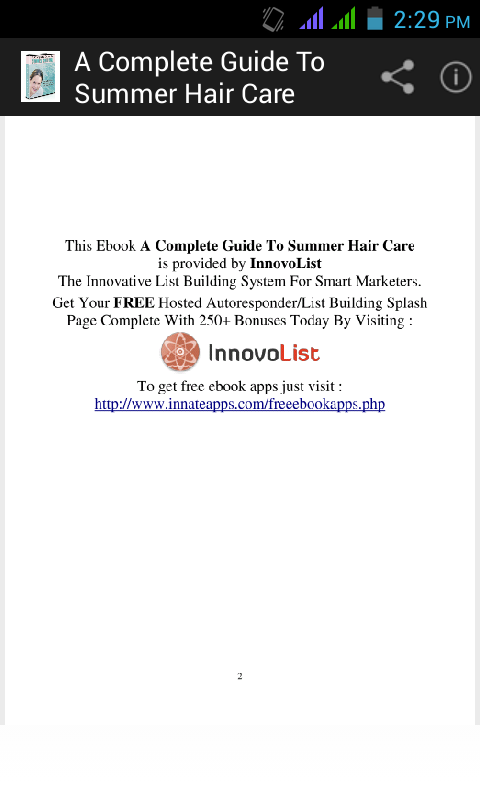 You can now download this app “A complete Guide To Summer Hair Care” from Google PlayStore and Amazon AppStore. 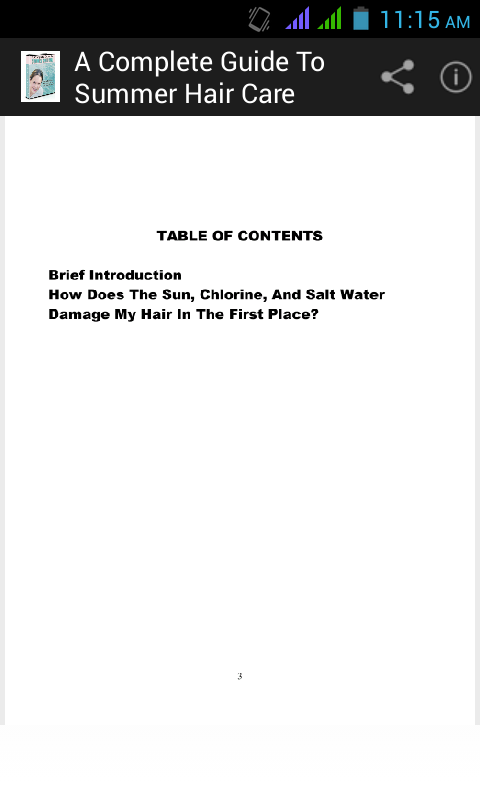 Brief Introduction How Does The Sun, Chlorine, And Salt Water Damage My Hair In The First Place? I love Summertime! Don't you? Unfortunately, Summertime doesn't actually love us back. Every year, millions of people suffer the results of outdoors activities. From sunburns to damaged hair, the sun wreaks havoc upon us in a multitude of ways. But, because we love soaking up all the fun and sun Summer has to offer, we deal with the eventual appearance problems that it causes later on down the line. The “green” or “gray” colored hair after taking a dip in the pool. Dried out locks from splashing about in the ocean. And plain old dull, brittle, split ends that makes us look less than our best when it's time for a hot night out. We all know this happens, and still we continue to venture out with zero protection for our hair. For some reason, we don't think about it until the damage is done. After all, it's just hair, right? Okay, but what would you do if you had to chop it all off tomorrow? Or it fell out from all the damage inflicted upon it? What if you didn't have it? Then would it just be hair? We all need to take a few minutes before we walk out the door and into the blazing sun rays to protect our hair from all that damage just waiting in the wings. And with the information provided right here in these very pages, that's all it will take you, just a few minutes extra each day to ensure your hair looks just as fabulous in the Summer as it does in the Autumn months. It will also provide you with information as to why certain reactions occur to your hair from the activities we enjoy, such as swimming in chlorine filled swimming pools, going for a romp in the clear ocean water, or simply sitting out in your backyard for a few hours. It doesn't matter if you are someone who has great looking hair or existing dry, damaged, or color treated hair. All the tips and techniques you need to make it through the grueling Summer heat are all here for you. They have been carefully selected to ensure that you have all the information you need to keep your hair looking terrific during the driest, dog days of Summer.